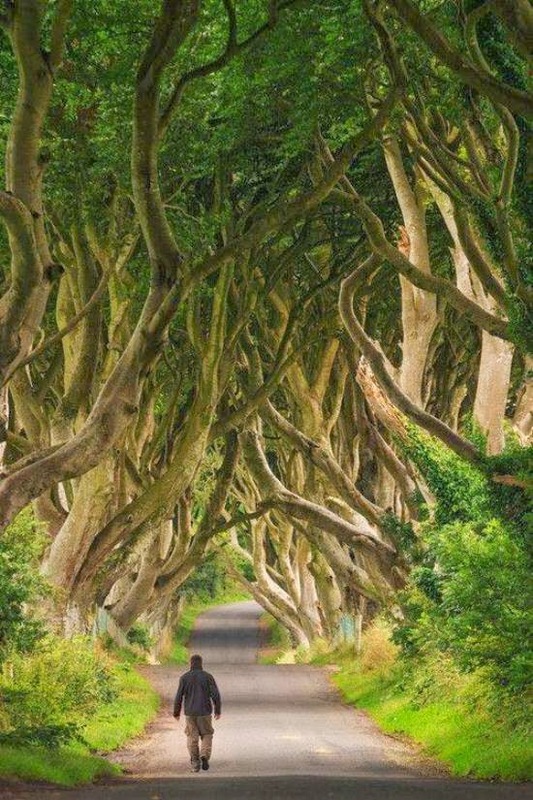 The Dark Hedges, a path of Game of Thrones (Northern Ireland). 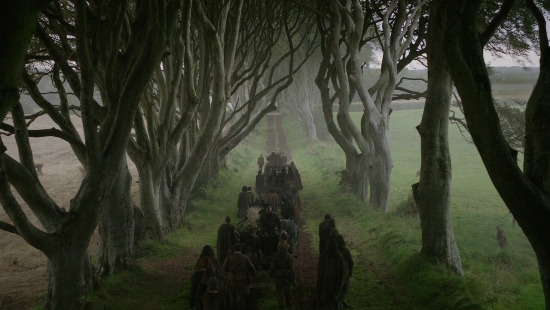 Many of the films made ​​for the series Game of Thrones have had as a backdrop to the mystical Northern Ireland . In Shane's Castle with its 2,600 hectares have been shot several parts of the series, this castle has a legend of a Banshee Celtic origin living in the surrounding area. This poses as an elderly washerwoman who murders passers warriors, according to legend. 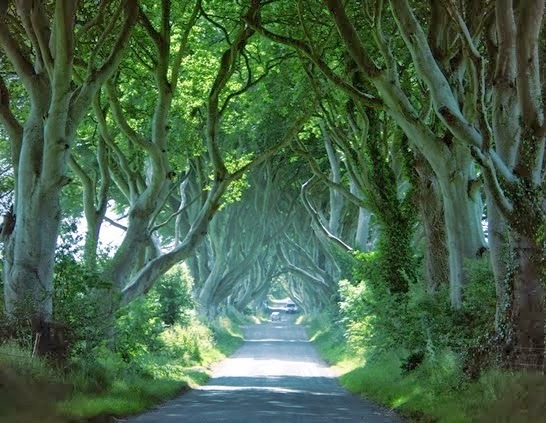 They have also been the scene of the Game of Thrones series Shillanavogy Valley, the Cushenden Cuevas, Murlough Bay, the Tollymore Forest Park, The Cairn castle and of course the way The Dark Hedges . 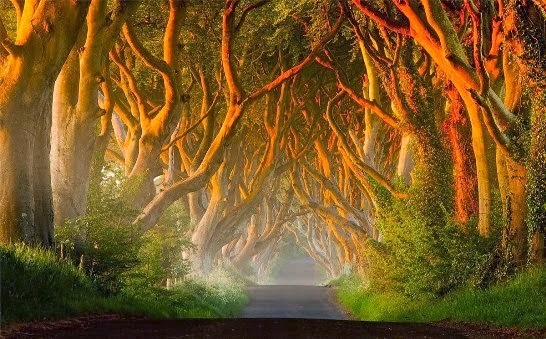 The Dark Hedges Avenue is a 200 year old populated by twisted beech trees near the small village of Armoy located 13 km northeast of Ballymoney. 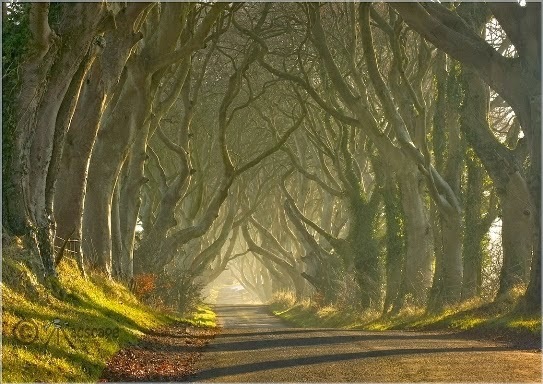 This road was already one of the most famous monuments in Northern Ireland long before Arrival of the series Game of Thrones . The appearance of the trail seems taken from a gothic horror movie due to the effect of the branches of the beech trees that are intertwined at the top creating the shape of a sort of tunnel, with its changes of light and shadow, has turned this place at a point of interest for visitors. 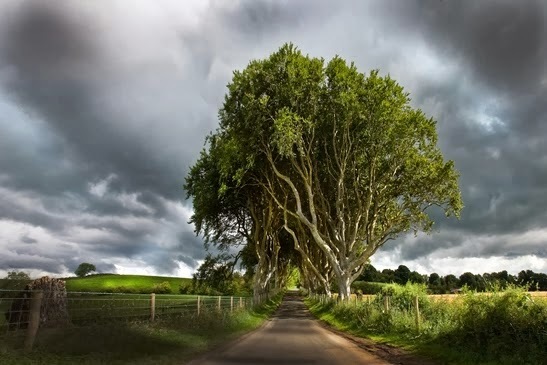 Undoubtedly The Dark Hedges is among the curiosities of Northern Ireland , a good place for those lucky enough to travel around the country that magical place. This incredible avenue of beeches, Edgar Allan Poe inspired many of his fantastic stories. The Candiru the most dangerous fish Amazons (Vandellia cirrhosa). The 10 largest and deepest hole in the world. The 10 most expensive antique coins and valuable World.